After Dan taste tested the delicious Yamba prawns we continued on to Ballina where Dan caught up with some fishing industry colleagues and I met up with my friend Kirsty and checked out a few sites in Byron that I had been previously worked on with Sue Barnsley Design- it was fantastic to see the landscape construction progress. 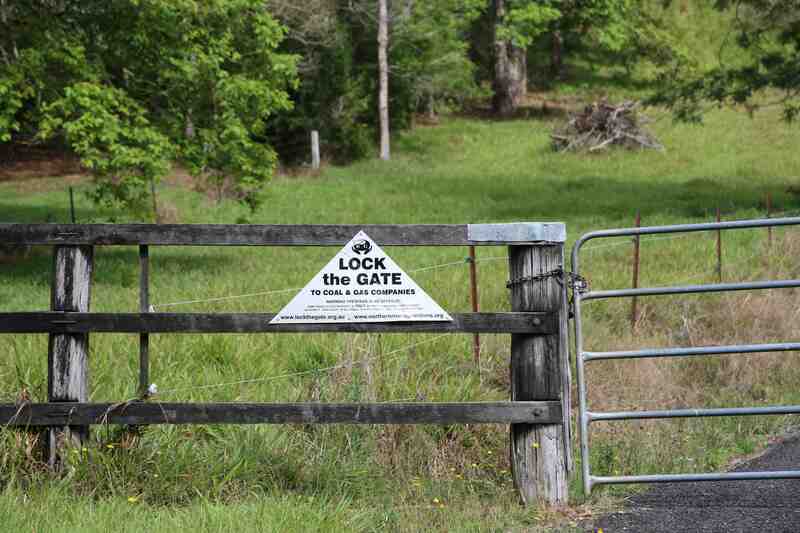 We used Ballina as a base for a few days to see and do a few things around the area. I went to a terrific yoga class at White Lotus at Lennox Head which was a Sivananda yoga school the teacher Madhava was welcoming and the class was fantastic. Sivananda yoga is based on 12 yoga postures with savasana (lying down posture) in between each posture. The class kept me relaxed all day. Check them out at http://www.yogawhitelotus.com/ if you are in the area. 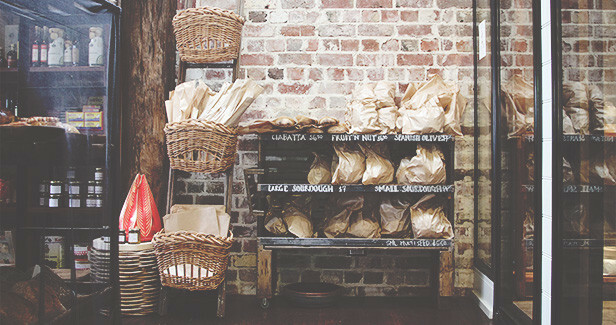 In Byron I went to a supercute cafe ‘Bayleaf Cafe’ for a healthy hip lunch and had the best iced coffee, then drove out to Bangalow- amazing shops, the clothes were so gorgeous but no shopping or pretty dresses for me at the moment! 😦 from Bangalow checked out Newrybar buying some tasty cheese and nibbles from the Harvest deli! 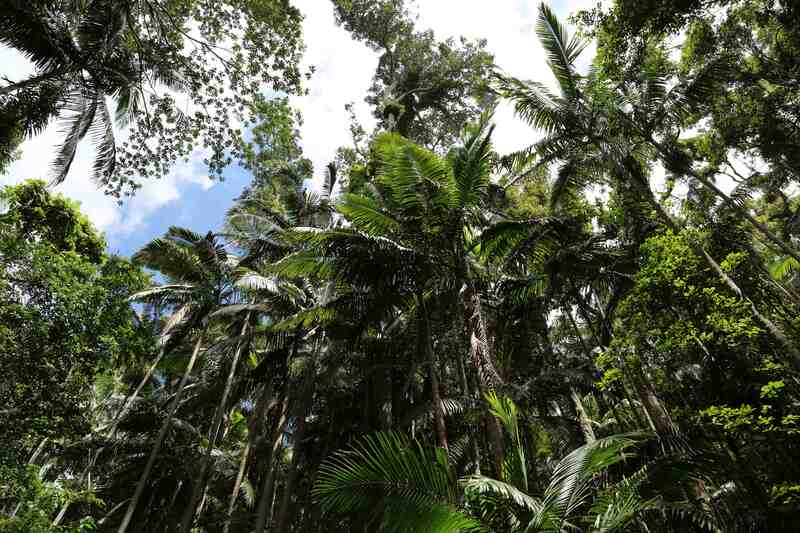 The countryside of the Byron Hinterland is gobsmackingly green, lush and beautiful. The deciduous trees were wearing their fresh lime green foliage and their branches hung elegantly over the narrow country road creating a luminous tunnel. Coming out of the tunnel you would enter into a landscape of rolling open fields with views to the ocean and the most easterly point of Australia. 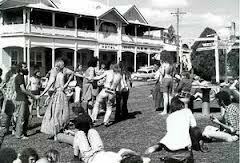 We left Ballina and took the inland road towards Lismore continuing on to Nimbin known for the 1973 Aquarius festival which was a large gathering of university students, practitioners of alternative lifestyles, ‘hippies’ and party people. 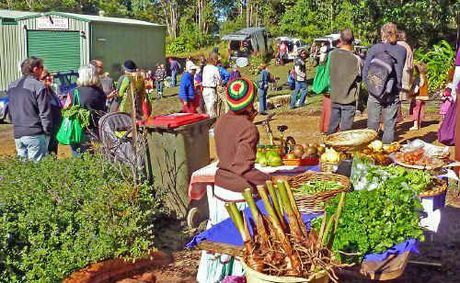 After the festival hundreds of participants and festival goers remained in Nimbin to form communes and other multiple occupancy communities, in search of an “alternative lifestyle”. The region has attracted creative types and environmentalists and we were lucky to catch the farmers markets the afternoon we arrived. As we approached there was the whiff of marajuana carried by the breeze, hemp shops, rainbow tie dyed dresses, long hair with dreadlocks, piercings, tribal tattoos. The market was small but sweet. Organic produce from people’s gardens, unusual greens, eggs, cheeses, kimchi, South American superfoods and berries. We bought sweet potato leaves used for stir fries which we had not tried before and were delicious. The next morning we kept driving towards Mt Warning along a back road from a little camp site, suddenly we saw a few very small wallabies which we had never seen before. They were red legged pademelons- very fast hopping, with the sweetest faces! 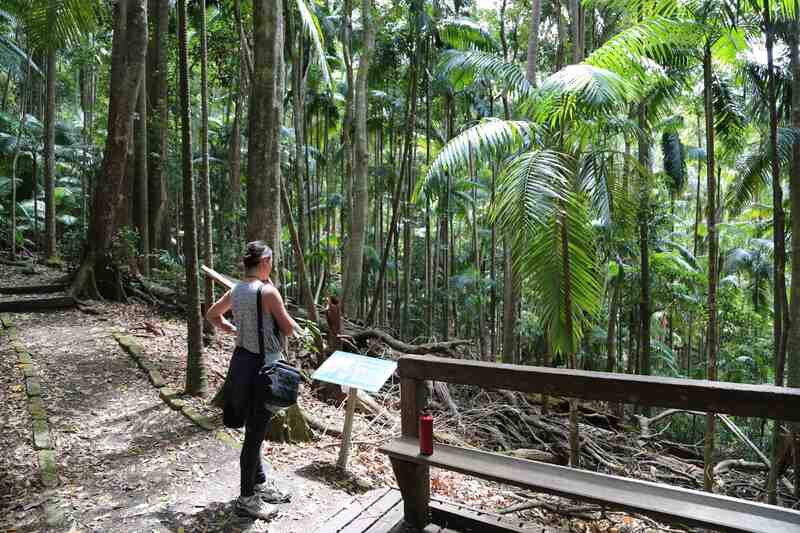 We reached the valley towards Mt Warning and it turned into a lush rainforest of bangalow palms and enchanting fig trees and then the grand volcanic Mt Warning came into view towering over us at 1156m above sea level. We drove through farmland and came across a few charming towns Uki and Chillingham where there was a bushtucker and unusual fruit farm. 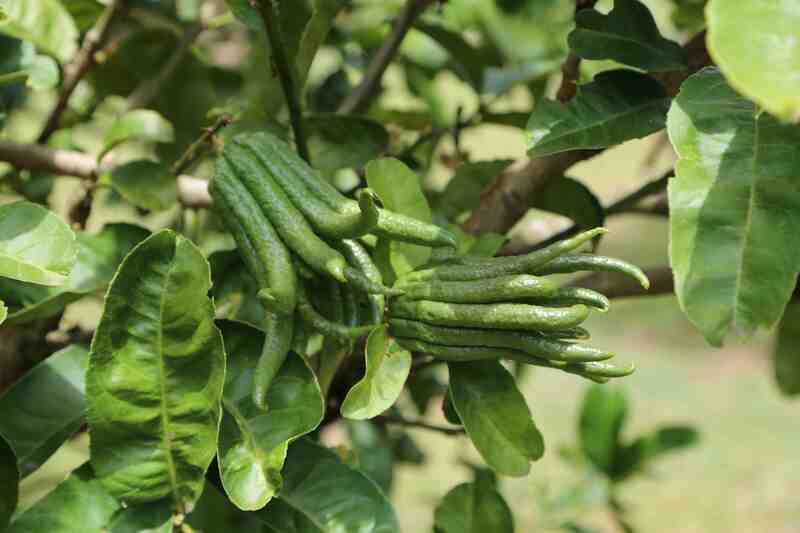 They were growing finger limes, lemon myrtle, Buddhas hands, Davidson plums, yuzu. The most interesting was the Buddhas hand which is a citrus. In the afternoon we then looped back towards the coast to Hastings Point, right near the boarder of NSW and QLD. We stayed over night on the estuary near the surf beach and enjoyed the sun and saltwater the following day. Families were fishing for whiting and catching mud crabs in their nets. The estuary was crystal clear and aqua blue, you could float with the current towards the outlet onto the beach-idyllic! South Golden Beach was our next stop near Brunswick Heads for a party with our friends Luke, Tanya, and little Jamie for an evening. We could imagine ourselves living here. 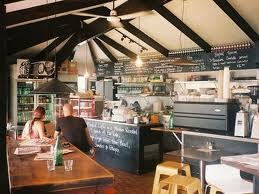 Close to Byron and the action but has not been ruined and has a fantastic sense of community. We went to Luke’s bbq gathering, neighbours walking and popping in, bon fire in front yard, kids playing, leafy street and stunning beach. We will be keeping this little spot on a radar for future spots to live.